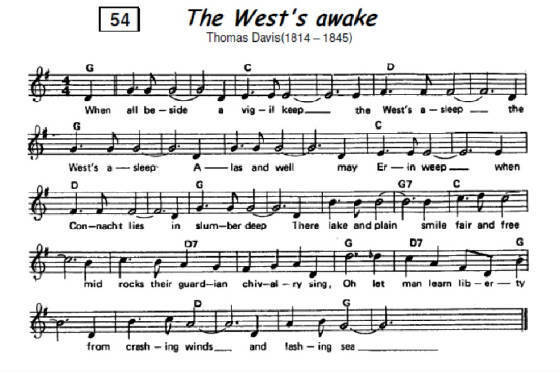 The West's Awake Sheet Music in the key of G Major. 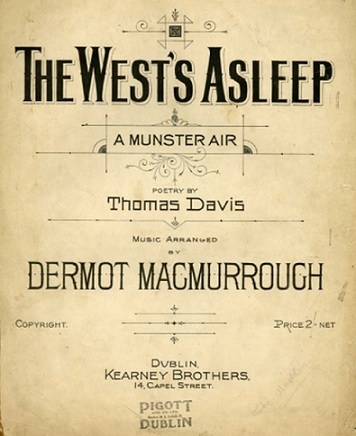 Written by Thomas Davis and sang by The Wolfe Tones and Ronnie Drew with the Dubliners. 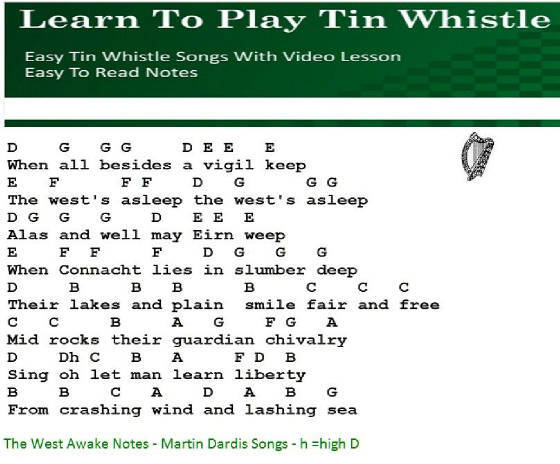 [Irish rebel] There's an easy version included showing the ''Letter Notes'' along with a video lesson on how to play the song.Music arranged by Dermot MacMurrough.